We, three brothers named Egill-, Halldór- and Sævar Áskelssons bought in October 2015 a 40 year old and almost 30 ton oak boat. The boat, named originally Vöttur SU-3, was built by our father and his colleagues in Vör hf. in Akureyri in the year 1975, newbuild nr. 5. The boat was scheduled for disassembly and to be sold for scraps. However, we managed to acquire the boat before it was too late. Since then, we have worked hard to renovate the vessel and do it with utmost care. We have done most of the work ourselves with help from friends and family. 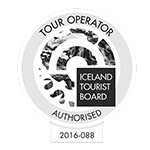 The staff at Slippurinn Akureyri have done their part and given invaluable assistance in various ways. Electrical contractors from Rafröst handled electricity and sailing equipment. Many thanks to the owners and workers at the workshop Útrás, for their exceptional help and understanding. Finally, our brother-in-law Stefán Traustason gave us good advice and aid. We thank our wives and families for their patience. We, the brothers, have always had a fascination for oak boats. In particular those built at Vör, since we were raised up around their construction. 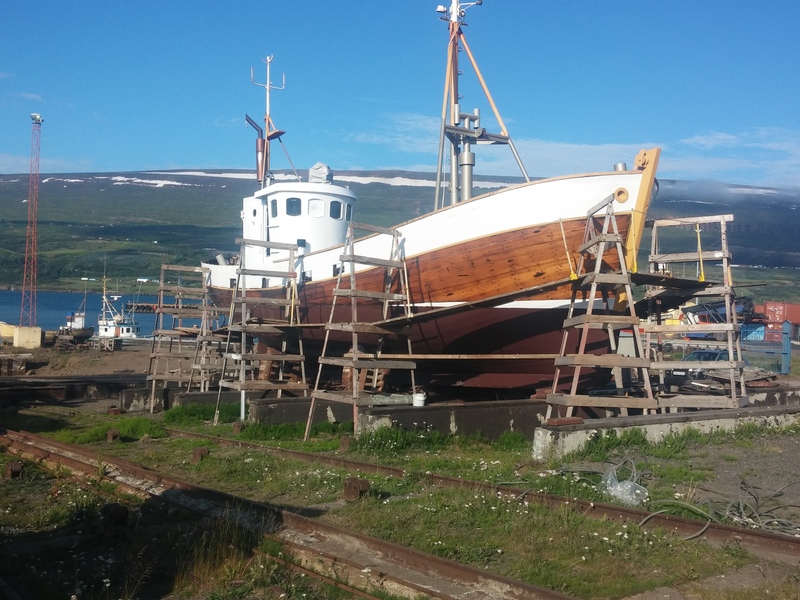 We have many fond memories from those days, especially watching the boats being launched for the first time, test rides around Eyjafjörður and the ceremony when owners received their boats. We watched these boats being built, got to know the boat builders and their amazing work. Just as many others relatives of the Vör family, we made our allowance by covering the ship nails with tar. As one can see, we will be traveling on a sea full of memories as well as the waves of the fjord. This has been an enormous and a difficult task, but most of all an enjoyable process. We have not counted the hours spent on this project, knowing that such calculations would not look good for our profitability and return on investment. Rather, what was needed was the passion for the project, a lot of time and hard work. Armed with this mindset we set off and finally achieved our goal. Our boat bears the name of our father, Áskell Egilsson (also known as Keli) and the registration number is 1414. We know he would have been proud of us and hope to honor his memory and the memory of his coworkers with this boat. We are quite proud of the end result and it is a beautiful boat, though we say so ourselves. 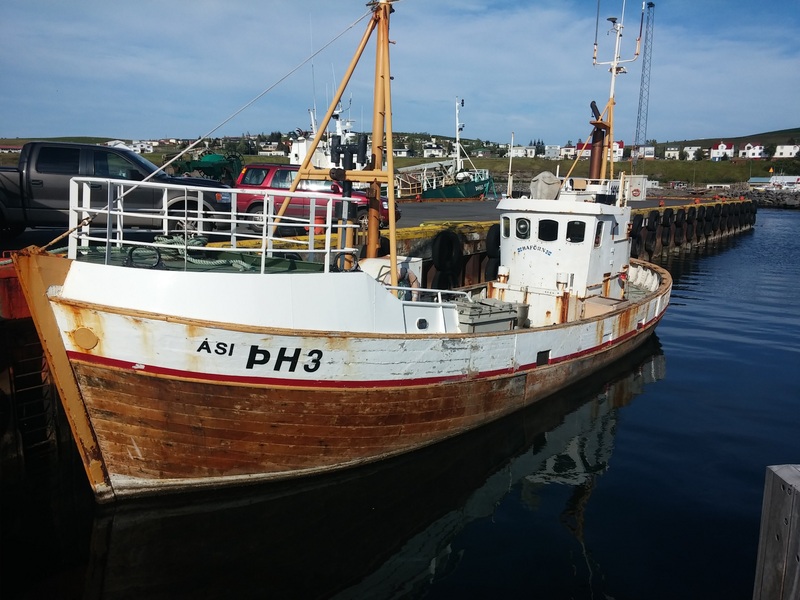 We plan to use Áskel for regular whale watching- and sea angling trips in Eyjafjörður over the summer as well as shorter and a little different trips at other times. We estimate a licence for 45-50 people in the summer and somewhat lower numbers during the winter. Over the years, the boat has had a home port all over the country. Everywhere he has been brought fortune with him and fished exceptionally well. From 1975: Vöttur SU-3, Eskifirði. 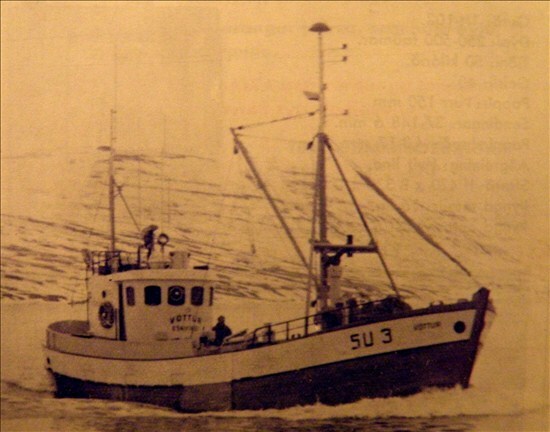 From 1978: Vinur EA-80, Dalvík. From 1983: Aðalbörg ll RE-236, Reykjavík. From 1987: Gulltoppur ÁR-321, Þorlákshöfn. From 1997: Haförn ÞH-26, Húsavík. From: 2010: Ási ÞH-3, Húsavík.